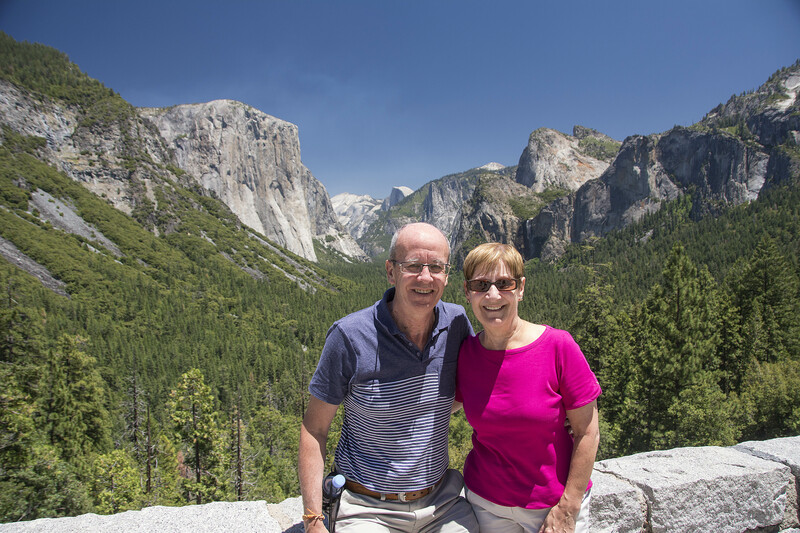 We spent Friday enjoying the wonder that is Yosemite National Park. There are many magnificent things to see and photograph and we captured a few of them. 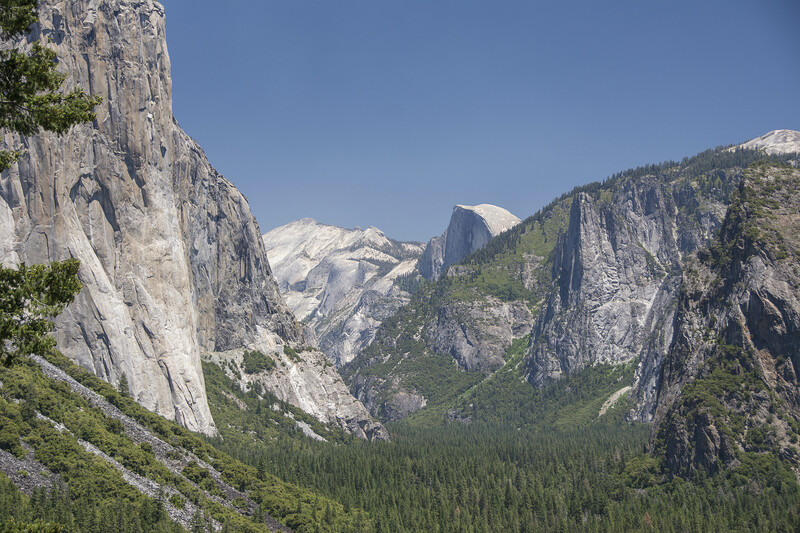 Yosemite covers an area of 761,268 acres and is visited each year by over 3.7 million visitors. 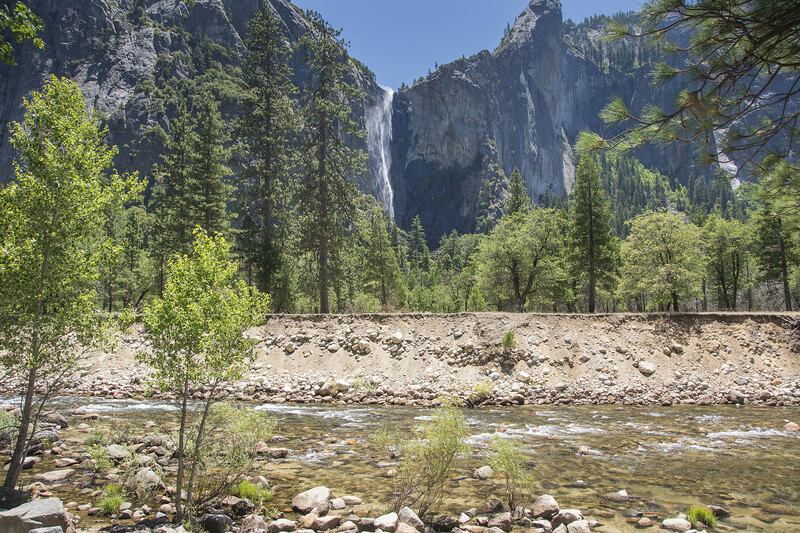 It is internationally recognised for its spectacular granite cliffs, waterfalls, clear streams and giant sequoia groves. Almost 95% of the park is designated wilderness. 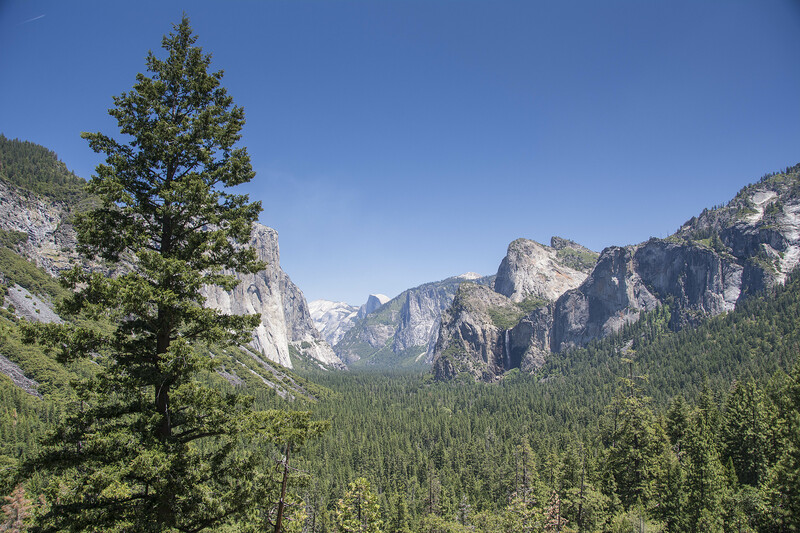 The park has an elevation range from 2,127 to 13,114 feet (648 to 3,997 m). There are climbers on El Capitan!! Can you see them? 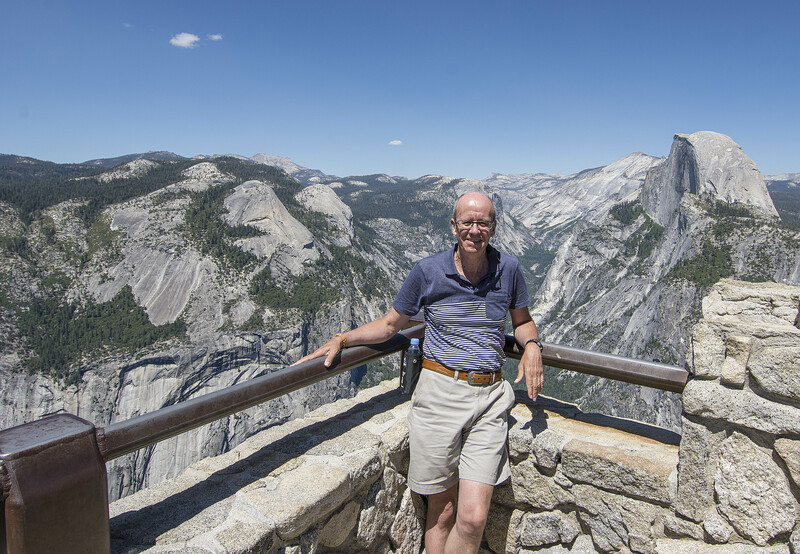 top of the world today when we reached the end of the road at Glacier Point. It stands at an elevation of 7,214 feet (2,199 m) and there is a sheer drop of 3,200 feet (980 m) to Curry Village standing below. You need a good head for heights to peer over the barrier that’s for sure. 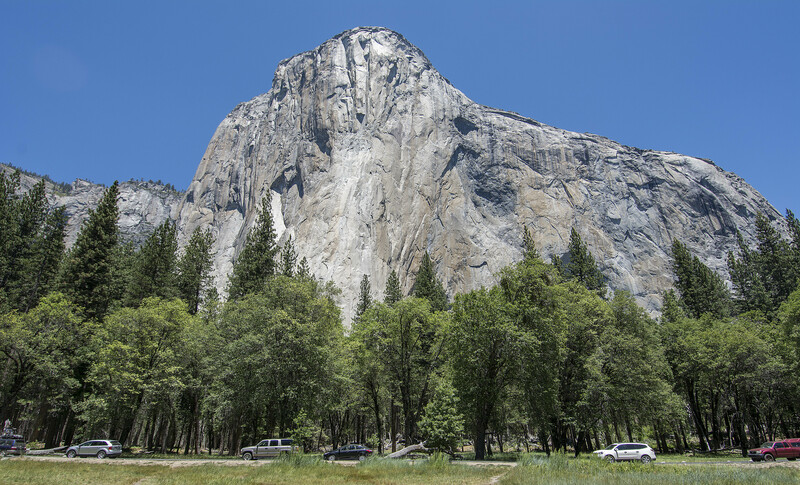 El Capitan is a vertical rock formation 3,000 feet from base to summit along it’s tallest face and is one of the world’s favourite challenges for rock climbers. 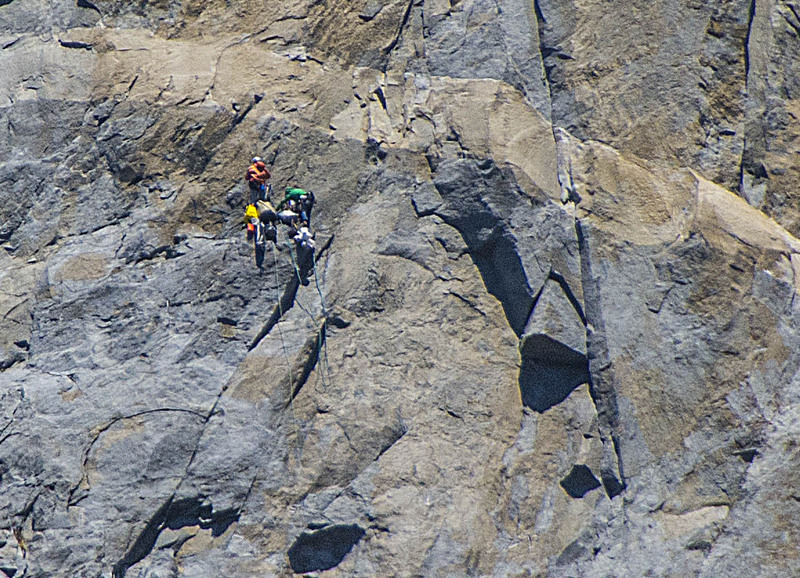 Today we were treated to such a spectacle and saw climbers on the sheer walls. Some of those who undertake the climb will do it over two days, so get to the halfway point, string up a hammock and spend the night suspended on the side of the rock before finishing their climb next day. 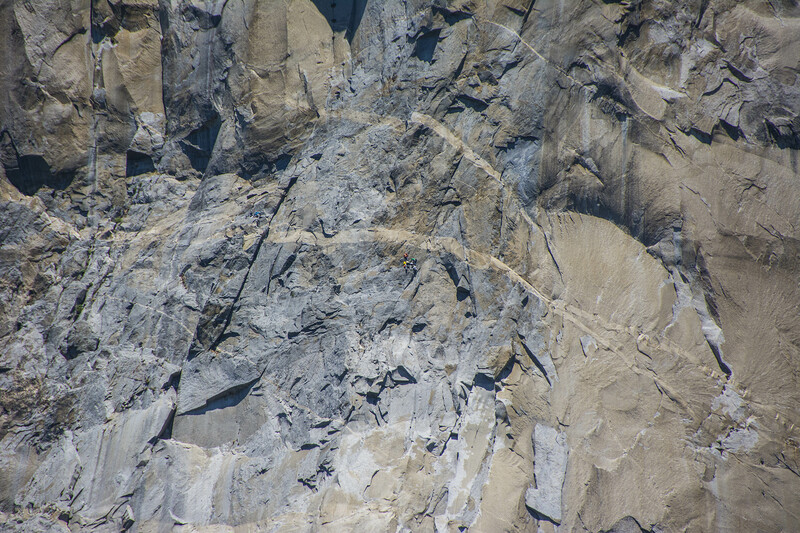 We were told that some of the more really extreme climbers have scaled it in two hours!!!!!! It would take us two years!! Tomorrow (Saturday) we return to hike some of the less challenging trails. Tonight for dinner we found a little gem of a place called Charlotte’s Hotel in Groveland. Great food, super atmosphere and was very popular with the locals. Not your typical American food, instead they served small plates of different foods that people could share instead of everyone getting oversized portions that mostly end up being thrown away. We did that journey from Las Vegas to Yosemite via Death Valley several years ago. We stayed somewhere very high up bit can’t remember the name it!! Saw some Brown bears in Yosemite that year!! Hi Ann, you were lucky seeing bears, we didn’t see a one!! I guess we’ve all been to Yosemite and these pics bring it all back. Good stuff. I didn’t realise this was you Si Smith, my Si’s just told me!! You sure get around!! 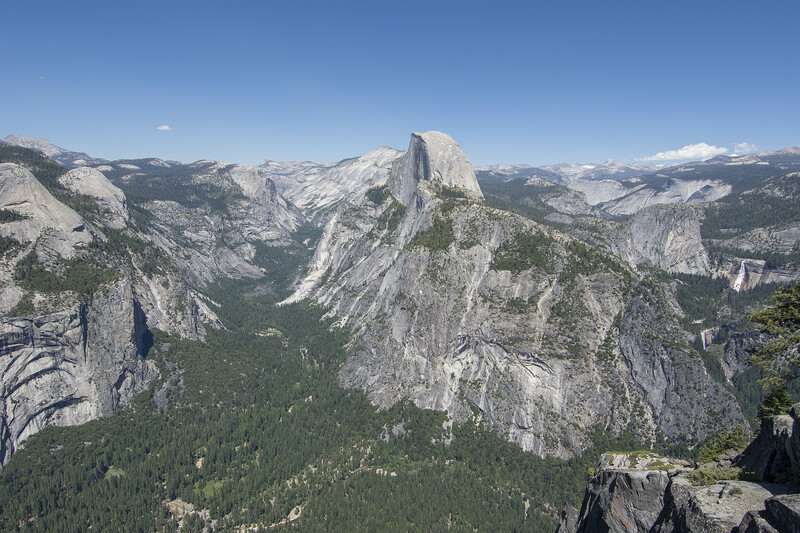 Yes, Yosemite is amazing. Are our photos better than your’s then!? Ha, ha, ha. 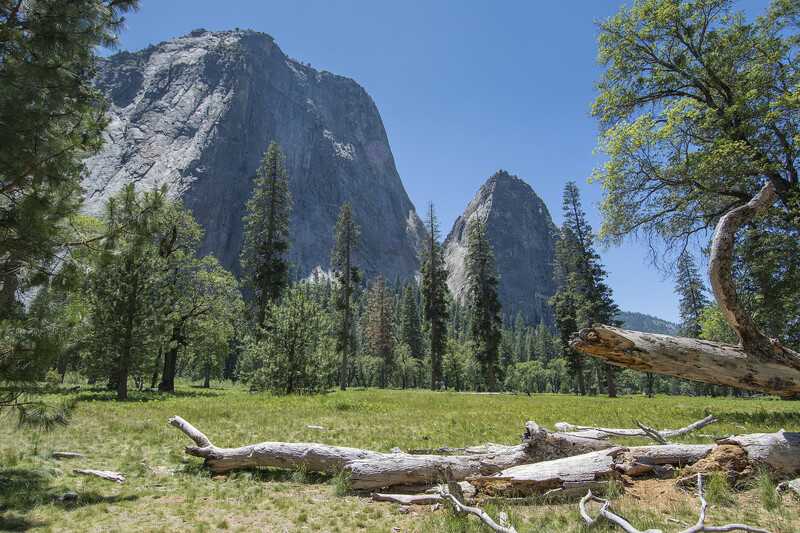 We went to Yosemite so long ago Ansel Adams was only just starting photographing the place. Oh the memories! Ha, ha, ha, good one!! That Allan Paice can be a trouble maker at times!! Yes, my Si is sensitive, so much so that I’ve just read him your comment and he’s now left the room!!!!! You men and your photos, what are you all like!! These are breath-taking photos Si! You’ve got to have some winners here! I can’t even fathom climbing that rock cliff. The people look like tiny ants! That is the perfect picture of you and Si! Just remember…don’t look down! It was a little unnerving at times Dot! !